The INI building at 4616 Henry Street in Pittsburgh is a vibrant home for students, staff and faculty. Our space aligns with the INI's values of innovation and interdisciplinary collaboration. 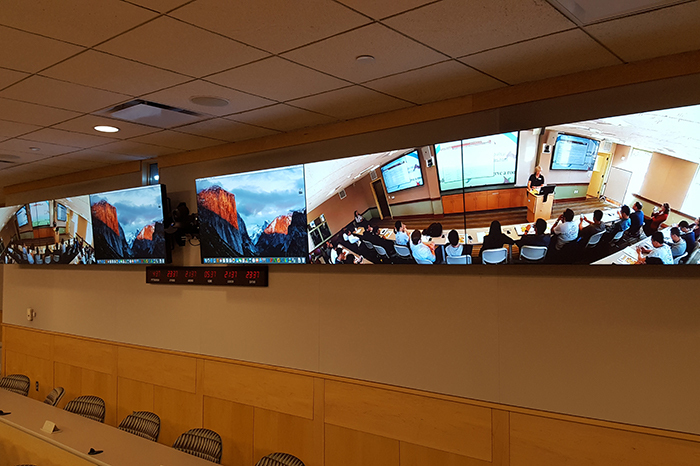 Equipped with the latest video-conferencing technologies, the classrooms connect the students and faculty in Pittsburgh to their counterparts in Japan and Silicon Valley. ﻿This classroom accommodates up to 54 in a flat-classroom style configuration. A technician is required when using all but the basic display technologies. View rates and scheduling. Visitor parking on Henry Street is limited. We recommend parking in the South Dithridge Street garage. The INI relies on the integrity and careful judgment of Carnegie Mellon students, faculty and staff, as well as outside affiliates, to use and care for the reserved spaces appropriately. The INI reserves the right to change, alter or cancel a room reservation at its discretion with advanced notice. Information on rates, scheduling and rules are provided below. Note: A technician must be present to coordinate technical aspects of events involving video/audio conferencing, recording, streaming or central integration of participants via desktop conferencing. 1. View public calendars for the DEC@CIC and the DEC@Henry for open time slots. 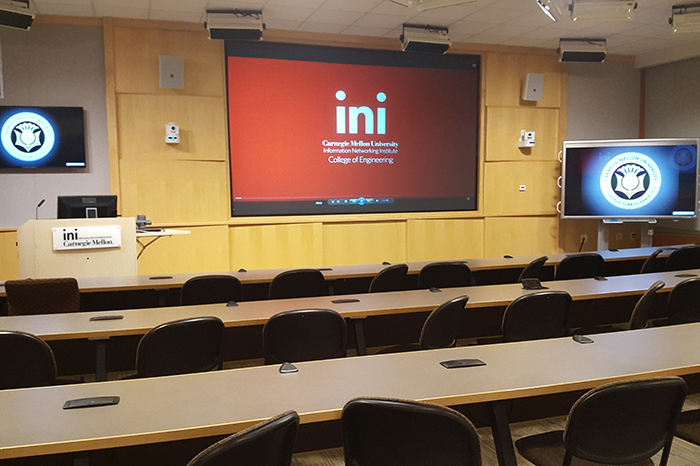 The INI has made its DEC schedules public for the convenience of planning campus events. 2. Submit online request form. All requests for the use of a DEC are processed through an online form. A submission of the form does not guarantee your reservation. The requests are processed in the order they are received. The INI cannot guarantee a response to any requests made less than 48 hours in advance. Schedule sufficient time before and after your event to allow for setup, participant entrance/egress and break down. Each request must include a contact person who will be responsible for the event. 4. The contact person will receive a confirmation email after your request is verified by an INI staff member. Room reservations are tentatively accepted one semester in advance. 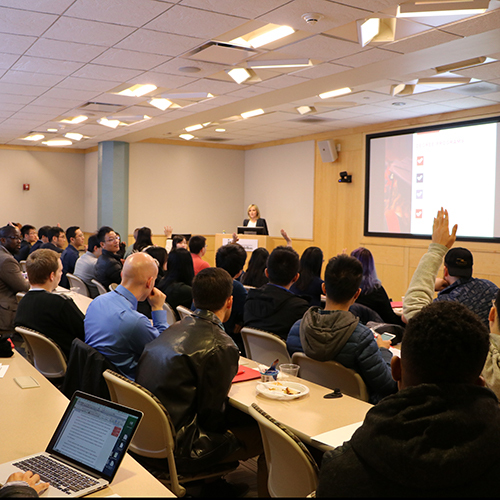 Requests for a DEC reservation further in advance than the following academic semester cannot be addressed due to course scheduling priorities. Food in the DECs is prohibited unless pre-arranged and pre-approved. Notify the DEC specialist if any technology is not working properly. Return chairs, tables, microphones and other equipment to their original location in the room. The INI is not responsible for any data saved on the computers in the DECs. The DEC computers are wiped clean of data each night. Guests are not permitted in the back control rooms. The INI cannot guarantee requests from outside affiliates for events that begin after 5:00 p.m. due to building accessibility. We will do our best to accommodate such a request. If an event ends after 5:00 p.m., individuals must make sure the DEC is locked after use. You may be held responsible for any destruction of property that may occur if a door is left open after business hours. If you need to cancel your event, send a reply to the confirmation email that states "Cancel this reservation." If you need to change the time or date of an event, please submit a new reservation request and make a note of the change in the Special Needs section of the form.